« Lifestyle moments in the Grove: the July 4 parade. Girls in their summer clothes: pink on Main. Shoreline dancers. 2015 July 4 parade in Ocean Grove, NJ Paul Goldfinger photo. Blogfinger.net© Click to Seymour. There were women volunteers at our hospital, and we called them “pink ladies” because of their smocks. 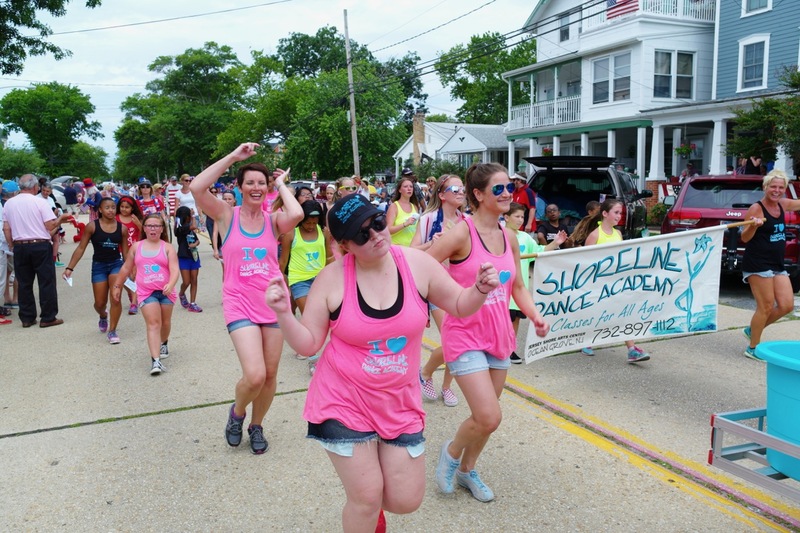 But this variety of pink ladies are having a great time dancing in the Ocean Grove Independence Day Parade. Next month Main Avenue will be invaded by another month-long pinkification campaign promoting “wellness” for women. But these Main Avenue dancers are a home-grown reminder for girls and women to stay healthy. Watch for them this July 4.